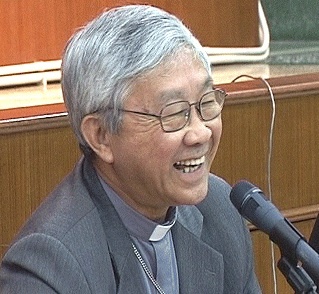 Everyone's favorite happy hierarch -- the "Viagra of Hong Kong" Cardinal Joseph Zen Ze-kiun SDB -- turns 75 today. Particularly in light of his key role on China policy, and with a top-level summit on it taking place at the Vatican next week, don't expect him to be disappearing from the scene anytime soon. The China policy meeting comes at a tense time in Sino-Vatican ties following a year in which Beijing unilaterally ordained three bishops, and with the possibility it may soon consecrate others without Rome's consent. Zen has been a thorn in Beijing's side over the years with his outspoken opposition to the communist government's control of the church and involvement in Hong Kong's pro-democracy movement.